CONKER season has come unseasonably early this year – not that kids are allowed to rap each other’s knuckles with a well-cured horse chestnut any longer, for fear of maiming, or quite possibly a sudden breakout of transphobia if little Andy lets out a cry and morphs into Mandy. 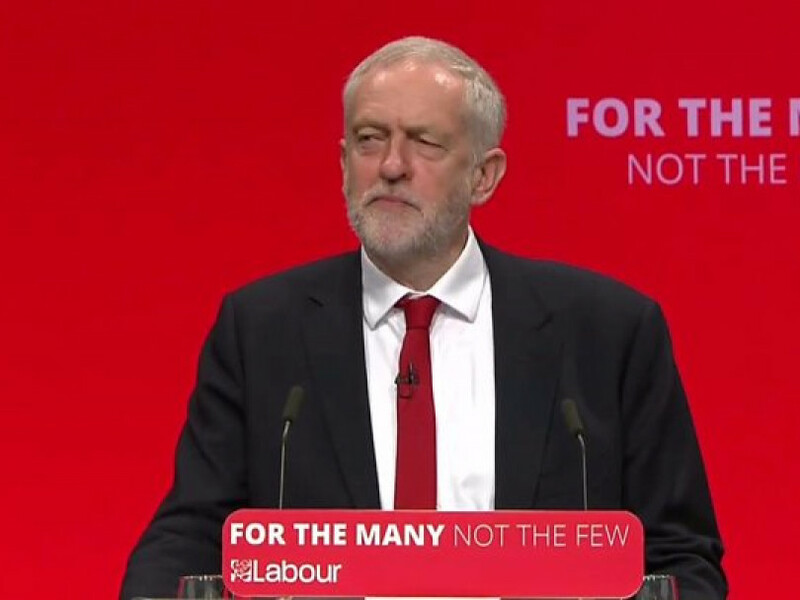 Hidden away somewhere in green and leafy Liverpool meanwhile is Jeremy Corbyn’s private orchard of Money Trees, and this week at the Labour Party conference he’s been letting his apostles reap its fruitful bounty with gay abandon. You may be forgiven for thinking the Tories are bought and paid for by billionaires and lobby groups. If so, it’s not so much that they can afford to abandon austerity yet, obviously. Maybe the Tories need to join a trade union, or throw on the dole and buy a red Momentum t-shirt, because therein clearly lies the One True Path to Untold Riches. Re-nationalising the railways, the water and energy companies, stopping banks from closing high street branches (how exactly?) Did I say an orchard of ‘Money Trees’? A forest more like. Amazonian in scale. It’s all mostly hokum clearly, but that’s the great deceit of opposition politics – you spend five years promising the earth, then the next five using the previous government as a limp excuse for why you can’t. And that’s not just Labour, that’s all of them. This is party unpolitical slagging-off, folks. Safe to say that you can discount the Vote Labour, Have Christmas Once A Month twaddle. I’m not going to get caught up in the detail of how implausible this economic idiocy is, because if Labour won’t (or can’t) why should I educate them? Similarly with the pledge to make big companies hand a third of the seats on their boards to workers. Good grief. Literally, last one out, hit the light switch, because if you want to study a model that economically illiterate Corbyn and his communist cohort John McDonnell aspire turning us into, look up Venezuela, where starving people are fleeing by the million and inflation is set to hit 1,000,000 (yes, one million) per cent by year end. No kidding. That’s their idea of a socialist utopia, somewhere everyone is equal in their dire poverty. And in our idealistic, unworldly youth, plus a growing rump of basically jealous and talentless socialist foot-soldiers – who couldn’t run a bath, let alone a business – they have their dim-eyed army. It’s a worry. SUCH as we have hope, it emerged in part from proceedings at Batley Nash where MP Tracy Brabin put up an impressively staunch resistance against almost universally critical voices. She had a small number of strident Labour fans in attendance, although one hot-headed young fellow made the mistake of getting lippy with the locals. That was very nearly a major mistake, because if the situation had been allowed to develop his Momentum wouldn’t have stopped until he landed head first in Batley Beck. What that poor sop encountered was real people, voicing real concerns, and not just another soft-headed placard-waver for whom it’s a ‘cause’. I hope, but doubt, that Tracy got that message loud and clear too, because the contradictions in her Leave/ Remain posturing might have sounded convincing when rehearsed into her make-up mirror, but won’t fool these folks. Trite assurances that representing her constituents comes first, Brexit must be respected, and “this vote isn’t two from three” was contradicted by a resolve to “do what’s best for Batley and Spen” – as if she alone possessed the gift of that knowledge, or misunderstood the pretty basic and overwhelming local demand to get us out of the EU. Labour is every bit as riven over Brexit as the Tories and this week in Liverpool has demonstrated they will sell their souls over an anti-democratic second referendum for the price of a fleeting spell in government. If Labour – and Ms Brabin – don’t understand the heat of the fire they’re playing with, using Brexit as a cheap political toy, they could get burned all ends up. As for new police Inspector Dorian James and his impressions of the meeting at the Nash – he must have wondered what the hell he’s let himself in for. Good luck there Inspector, because you’ve now got a proper understanding of the job at hand. NOT MUCH to report from the western front – the sandbags have been piled up round the Kirklees Kops bunker in Huddersfield, inside which Kommandant Julie Sykes is frantically polishing her peaked cap and thigh length black boots in between inserting fingers in both ears with her eyes squeezed shut. “Krisis, vot krisis? Ve haf vays of making you valk, Lockwood,” (as in walk not talk, all 25 miles back to my car). The fuss over my ill-advised (if not quite illegal) arrest by armed police last week has reached the desks of the West Yorks Chief Constable and Police and Crime Commissioner – not from me I hasten to add – and I’m grateful to accept the assistance offered by my outspoken critic, Savile Town barrister Elyas Patel. There’s not a lot more to be done while I remain under investigation, so I’m waiting for the moment an embarrassed copper has to eat humble pie on Oberleutnant Julie’s behalf. I do consider myself lucky. Sykes and her ilk can, and do, act like this with impunity against 99% of people – indeed, I’ve been inundated not just with messages of goodwill, but similar tales of wrongdoing. Sorry if I can’t respond to you all. What I can do is thank everyone for their support and promise to see this bizarre farce through to its conclusion. You see, Julie mein fraulein, if you mess with a bull, don’t be surprised if you get a horn up your arse. LIKE most of the nation it seems, Mrs L and I couldn’t wait for the final episode of the BBC drama Bodyguard, albeit on catch-up on Monday night. It turned out rather like a kid hoping for a new bike on Christmas morning and getting a Cadbury’s selection box. And I’m speaking from experience there. Just small things. A man in a suicide vest walks all the way across London surrounded by every gun-toting anti-terror cop in the Met – as if – then jumps over a wall and escapes scot-free? The evil mastermind is a ‘timid’ Muslim woman who was initially going to blow herself up, but turned out to be making suicide vests on an industrial scale – how, when she’d been in custody since episode one? Was she flogging them on eBay to the inconvenienced gangster who was bribing senior Met officers (actually, I can buy that) before blowing the Home Secretary up? The whole plot ended up with more holes than Stan Ogden’s string vest, but that’s all too often the way with TV dramas. All these great plotlines that put us on the edge of our seats have to be tidied up in 20 minutes, meaning more shortcuts than I took on a Dewsbury Technical School cross-country run (well, I did have asthma and my best mate Tommy Keane’s house was next to the course, handy for sitting out a lap or two). Keeley Hawes, the Home Secretary our eponymous hero had been playing unlikely bouncy-bouncy with, never made her miraculous return from the dead, so I suppose we’ll have to wait for the second series for that. No doubt Mrs L will insist we watch.